Has your organisations’ digital growth become stunted? To succeed in digital you need to journey from ad-hoc management to ubiquitous use. But the path is not cut and dry. Different approaches suit different organisations. As digital thinking matures we are beginning to see best practice for governance emerge. 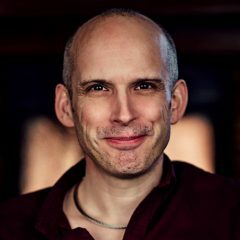 Governance about who ‘owns’ digital and how those teams operate. But this kind of governance does not happen overnight. It is a journey organisations go on. The trick is not to get stuck along the way. Instead you must keep progressing towards the goal of integrating digital across the organisation. We must keep progressing towards the goal of integrating digital across our organisations. Unfortunately despite digital being around for over a decade, some are still at the beginning of that journey. Most organisations begin their digital journey in an informal way. 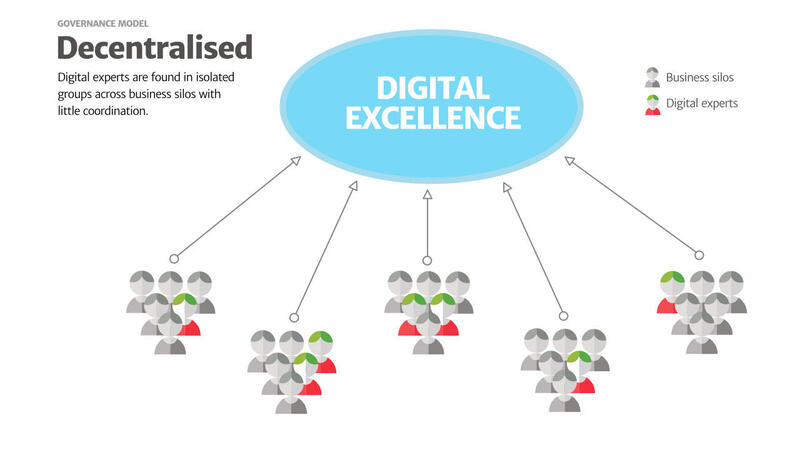 There are a few scattered people across the organisation who recognise the value of digital. People who endeavour to champion it. But isolated as they are, they have little in the way of resources or authority to bring about change. This approach has obvious drawbacks and limits what is possible. It is important to move beyond this position as soon as you can. The majority of organisations I encounter have moved beyond their informal beginnings. They have established a more formalised approach to digital. Unfortunately this structure is often de-centralised with digital specialists spread across the organisation. At the most basic level this might be a split between IT and marketing, with digital specialists in both. At worst it can involved each business silo having its own digital personnel. This is a common occurrence in the faculties of higher education institutions. That or the country offices of international organisations. 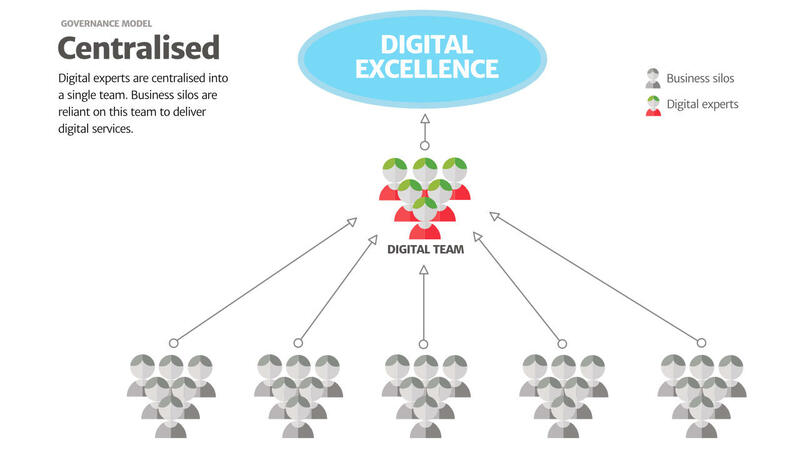 De-centralised teams are a good starting point, but will stunt long term digital growth. They lead to the replication of effort. They also create communication barriers and a lack of consistent standards. These problems can even taint the perception of the organisations’ reputation. This often leads to organisations centralising digital. As digital becomes business critical to the organisation they tend to centralise its operations. This enables the organisation to exert a greater degree of control over its use and implementation. It allows for the setting of standards and streamlining of operations. It also allows the creation of a more coherent strategic direction. For more hierarchical organisations a centralised team can work well. But it also can lead to digital becoming siloed within the organisation. It does little to encourage wider adoption across the organisation. Neither does it encourage digital by default thinking. That is why many organisations often move from a centralised team to a hybrid model. A hybrid model maintains a centralised team that coordinates digital activity across the organisation. But it also has digital expertise in the various business silos. This ensures that digital best practice becomes organisation wide. It also prevents the central team becoming a bottleneck. Hybrid is the most progressive and the most conducive to producing continuous innovation at the pace of digital change. I agree with this. But it does not suit every organisation. It depends on that organisations digital maturity. There are also a couple of different approaches that organisations can adopt within the hybrid model. The first is a centre out approach. Although each silo have embedded digital experts, these people report into the central team. 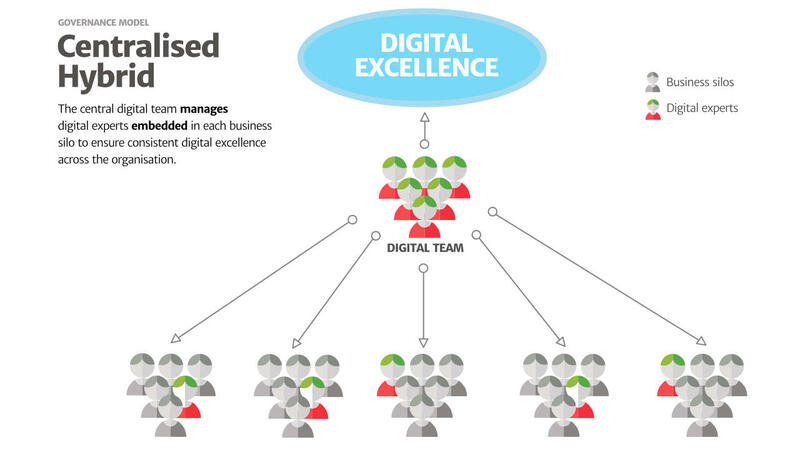 This model means that the embedded digital experts have the knowledge of the business silo. But it avoids the business silo from dictating the digital agenda. 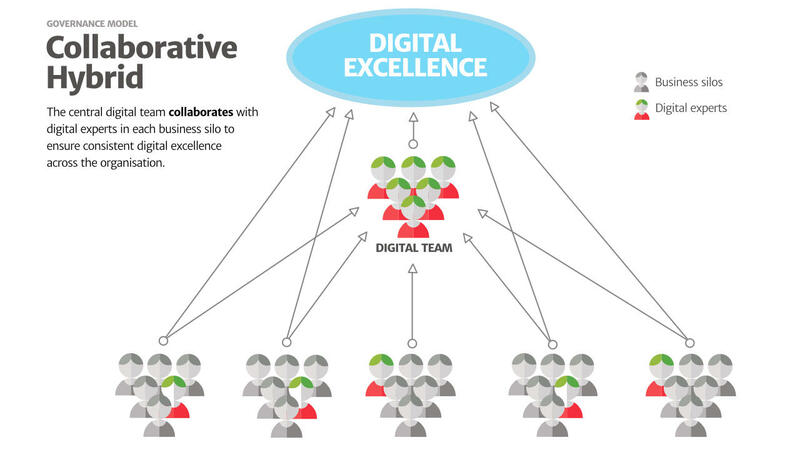 An alternative approach is for digital experts within silos to report into the silos. The central teams job is to coordinate the work of these embedded staff. This tends to work better in decentralised organisations and as digital maturity grows. In the end organisations often replace the hybrid model with an integrated approach. The digital experts in the business silos seek to educate colleagues about the use of digital tools. In time they relinquish responsibility, encouraging staff to integrate digital tools into their workflow. This is the state in which many post-digital companies exist. Digital isn’t a separate business function. Instead people use digital as part of their workflows on a daily basis. It is as ubiquitous as electricity within a modern business. Although the journey towards integrating digital is a long one, I often see organisations trying to skip steps. They endeavour to go from an ad-hoc approach to fully integrated in one leap. I am not saying this is impossible. But it is challenging and I am yet to see an organisation achieve it. In fact I have seen companies experience serious upheaval when they have taken this approach. When it comes to digital maturity and growth it can be dangerous to skip steps. Unfortunately it is an approach recommended by some of the larger business consultancies. It’s the kind of grand plan that justifies their fees and generates future business. But in my opinion it is wiser to move through these stages over a series of years. Often a series of smaller steps is faster than trying to take a giant leap.